Sherry Roberts - I read mysteries, and now I write them. My new mystery, Down Dog Diary, asks the compelling question: can a yoga teacher hunt a killer and still find inner peace? I have written two other novels: Book of Mercy, a funny novel about a serious issue: censorship, and Maud’s House, a story of lost creativity and the mess it can lead to in a small Vermont town. 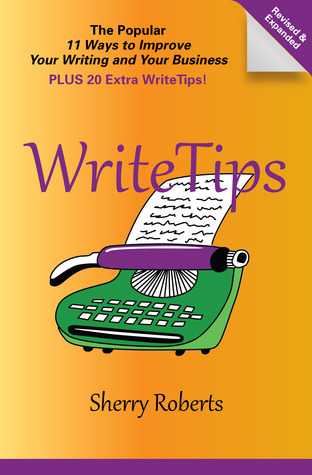 I also am the author of WriteTips, an eBook to help you put zing in your business writing. I blog about writing and publishing since I am an indie publisher. But more often, I write about the everyday journey: hiding in the basement at Halloween, missing a child whose living abroad, planning a do-it-yourself wedding.Since 1990, my husband and I have run The Roberts Group Editorial & Design. We edit books, design and typeset book interiors, create book covers, and format eBooks. We also write, design, and build websites. In the lovely Minnesota summers, I grow flowers: from dahlias and geraniums to lantanas and zinnias; practice my yoga; ride my bike; and feed the hummingbirds. In the sometimes-long, but always pretty Minnesota winters, I walk in the snow, read by the fire (probably the latest Dennis LeHane, Louise Penny, or Jim Butcher), and bake cookies. And I watch basketball,the Minnesota Timberwolves. I have yet to become too attached to baseball and the Twins. I fear I might have a bit of my mother in me, who was a HUGE St. Louis Cardinals fan and complained when they stopped taking her calls.